The Sala Mercado is located in Plaza de La Ermita on calle San Miguel, right by the main taxi rank. It was originally a permanent covered market, but was transformed into a multi-purpose facility and is frequently used as an exhibition centre. 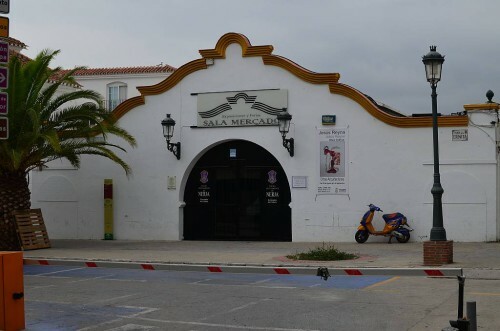 In front of the Sala Mercado is the main taxi rank and down the left side of the building is the AEN (Asociación de Empresarios de Nerja) office and the Biblioteca Publica Municipal Salvador Rueda - Public Library.